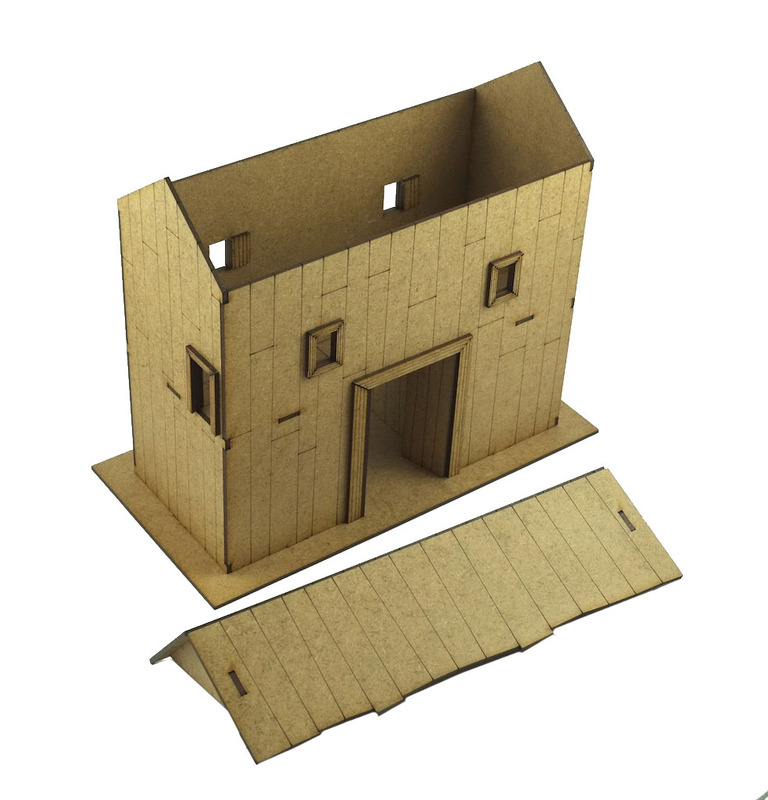 Timeline Miniatures laser cut MDF Roman Gatehouse for use with various wargame and role play systems. Ideal for ancient or fantasy wargame and roleplay scenarios. This model is precision laser cut for accurate assembly. The upper unit has a detachable roof and there is extra detail to the widows with the addition of frames and wood effect engraved doors. The side doors allow the unit to be used with our Frontier Wall kit or can be blocked with the doors provide if the wall is not needed. We also have a Roman Watchtower and a Frontier Wall Section in this series - all available in 15mm too! The gatehouse measures 190mm x 84mm x 180mm high.